Mother’s Day is coming up! 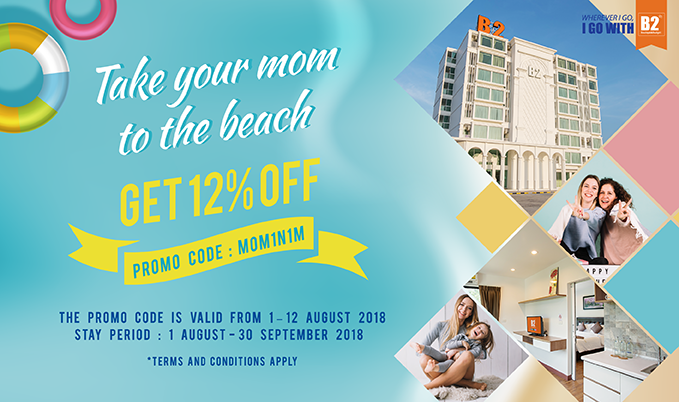 On such the special occasion, we offer 12% off on rooms to every valued guest a Mother’s Day Special Promotion when booking with the discount code “MOM1N1M” via B2HOTEL.com! The promo code is valid from 1– 12 August 2018. Make a trip and take your mom to stay at one of our selected hotels; B2 South Pattaya Premier Hotel, B2 Sea View, B2 Jomtain, B2 Sriracha, B2 Hua Hin Premier Hotel and B2 Phuket Boutique & Budget Hotel. Don’t miss out on this opportunity to spend a quality time with your family. 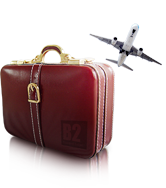 The discount code is only available for a new booking on www.b2hotel.com and may not be available in other booking channels. 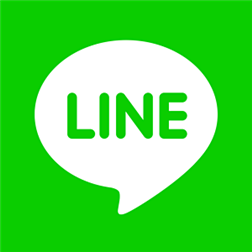 The discount code is subject to availability for all room types (excludes breakfast) at the selected hotels; B2 South Pattaya, B2 Sea View Pattaya Boutique & Budget Hotel, B2 Jomtien Pattaya Boutique & Budget Hotel, B2 Sriracha Premier Hotel, B2 Hua Hin Premier Hotel and B2 Phuket Boutique & Budget Hotel only. Any booking with the discount code is non-cancelled, non-refundable, cannot be amended or redeemed for cash and may not be combined with other select promotions, offer or discounts. The discount code can only be used per one booking of the stay period 1 August 2018 - 30 September 2018. Rooms are limited and subject to availability at the time of confirming a booking. This promotion cannot be used on any public holiday, long weekend, high season and peak period. GPCM Group Co., Ltd. reserves the right to discontinue or change the detail of conditions of this offer without prior notice. For more information, please contact B2 Call Center 02-222-1133. Take 12% off your next stay. Enter this coupon code on the payment page.